How do I transfer my iOS developer profile to another computer? all Provisioning Profiles in the Xcode Organizer > Devices tab > Provisioning Profiles section under "Library"
TN 2250 suggests I click a link entitled "Transfer Your Developer Profile to Another Computer" to find out how to do said transfer, but that link effectively gives a 404 and refreshes to a page called "About Xcode"
How do I transfer my developer profile to another computer? My old machine is running OS X 10.6.8 and Xcode 4.2 (4C199). The new machine is running OS X 10.7.4 and Xcode 4.3.3 (4E3002). Import/Export works differently in Xcode 5+. This Apple Developer guide shows you how to do it. Your account is shown under Xcode → Preferences → Accounts, and can be exported by clicking the gear icon ( ) in the lower-left. You can do this from within Xcode. 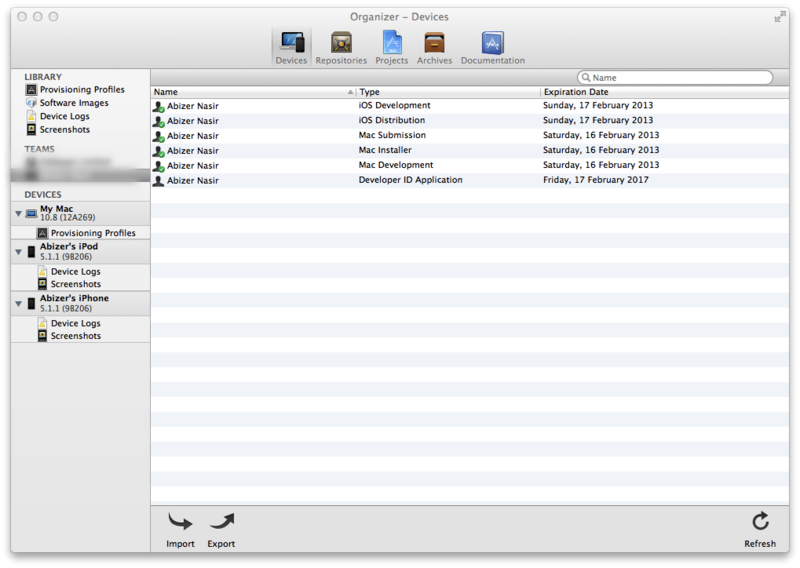 From the Organiser, on the devices tab, you can export your developer profile to a file which you can then import into Xcode on another computer. Note that if you don't have a Teams section in your Organizer - Devices, you can just drag and drop the password-protected Developer profiles export-file, onto the Xcode icon in the toolbar. 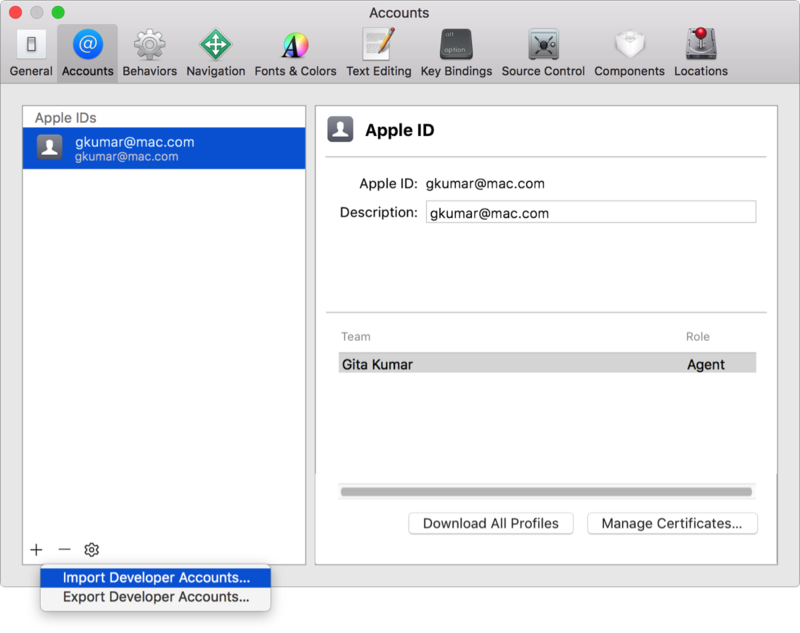 You need to export your private key from Key Chain access of Mac OSX in which certificates are running successfully or from which developer certificate made and download certificates from Apple Developer Portal, it will work as it works for me. Not the answer you're looking for? Browse other questions tagged xcode data-transfer certificate . How to install iOS 5.1 Simulator if I’m not an iOS Developer Program member? Can I download updates for another computer? How to transfer entire iMessage conversations to computer? How to transfer iMessages to the computer for archival?